Hailing from Germany, Mike Maass started his career back in 2009. His signature sound is a well-crafted blend of driving, dark, heavy hitting techno. 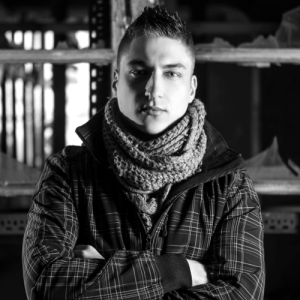 With his hard work and consistent releases on top labels like Trapez, Abstract, Brood Audio, 1605, Italo Business, TK Records, 069 Techno and his very own “Black Circus”, Mike has cemented his position as one of the most exciting new talents to keep an eye out for. Mike has been showcased at clubs like Tresor, Butan, U60311, Villa Rouge, Kunstpark and LVC. He has had the honor of dropping his throbbing techno sets at countless festivals like Nature One, BPM Festival, Kontrast Open Air and Open Beatz. With several collaborations and remixes under his belt, Mike has worked with many other artists like Subfractal, A-Brothers, Niereich, Hackler & Kuch, Torsten Kanzler, Spark Taberner and Dandi & Ugo. Mike Maass is setting his goals high and is already reaching the uppermost echelons of the genre so watch out for the new techno kid from Germany!